Be In Control With Digital TV! If you're looking for more choice on your television, but don't want to pay for a cable or satellite service, Freeview if the perfect option for you. Our Manchester installations team can install digital Freeview TV in your Manchester home at an affordable price. All TV is now digital, so get in touch for advice on your options. 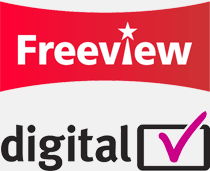 We can install Freeview booster aerials across Manchester for a better TV signal, and can even set up your entire digital Freeview TV service for you! Feel free to give us a call if you want to find out more! 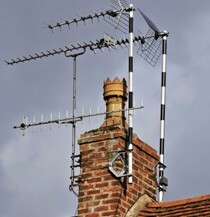 Our Manchester based TV aerial fitters are capable of installing aerials to give you a clear digital TV image through your Freeview box, and what's more, we don't charge a fortune for our services! We promise you won't regret giving us a call! You can reach our Freeview and digital TV installation team on Manchester 0161 433 8292 today, and we'll happily provide you with a free estimate for Freeview or other digital TV services offered by our team of experts. We're waiting for your call!